ExoClick has been expanding its reach into the Russian market and is now a leading force for Russian channels who want to reach an international market and for foreign advertisers wanting to monetise the Russian market. ExoClick’s Russian team attended two important online industry shows in Moscow, Russia 3 – 4 October 2014: the Russian Affiliate Congress and Expo (RACE) and the iDate Expo. RACE is an affiliate marketing event for Russia and CIS countries and iDate is dedicated to the exploding online dating business in Russia with Russian and foreign industry specialists networking and learning the latest trends and technologies in online dating and related online entertainment products. The ExoClick team were one of the main presenters at iDate where they demonstrated ExoClick’s ad network technology platform to delegates and how they could better monetize not only Russian traffic, but also how drive international traffic to Russian publisher websites. So we caught up with the Russian team to tell us more about their visit to RACE and iDate and the opportunities that the Russian market holds for advertisers and publishers and for traffic generation and conversions. How is the Russian market different from the Western market? The Russian market has seen a massive upsurge in online users and it is now the largest online market in Europe with 68 million users. Zenith Optimedia predicted that by the end of 2014 it will be the 9th largest online market in the world with online advertising now accounting for 25% of all advertising in Russia, overtaking both print and outdoor advertising. With this exponential growth and with few foreign advertisers exploiting this lucrative market we have ensured that ExoClick is well positioned in this market to offer this huge potential to non Russian businesses as well as providing Russians with a gateway to the international market via our ad network platform. How has ExoClick managed to enter this market so successfully? The first port of call was to ensure that we signed deals with the Publisher sites that have good quality traffic with entertainment and dating sites being strong contenders. We then pushed our advertisers to test out the Russian market so they could see the great conversion rates for themselves. It also helps to have Russian people part of the team, this way clients have a dedicated Russian account management team who they can speak to in their native language. With our Russian market knowledge we are here to advise and help clients to monetise their platforms, generate traffic, convert that traffic and to get the best ROI out of the ExoClick platform. Additionally, ExoClick’s admin panel is available in 7 languages including Russian which also removes language barriers that Russian clients might have in order to use our ad network platform. With our recent Version 3 Admin Panel update, Russian clients have the advantage of having access to big data statistics, so they can get the best ROI by deep analysis of their campaigns and publisher platforms. What ad formats are working well for advertisers in this market? Among the different types of online advertising, the most popular are banner ads and contextual advertising. The average CTR of banners is generally between 0.3 and 2% and the types of banners can be static, animated or with sound. More aggressive ad formats and ad content are generally used to drive conversions, formats working well are 200×200 teaser banners, flash and html banners, aggressive combinations of popups and popunders. Obviously Russian language ads convert better and the market is more CPA driven than CPM and CPC. What kind of content should publisher sites have to generate revenues from the Russian market? There is an abundance of pirated and low quality free content. The freemium model prevails, therefore webmasters wishing to monetize their content via sign ups have to provide high quality content in order to garner conversions. What are the popular billing methods in Russia? Webmoney, Yandex money. Paypal and Paxum are problematic, cashing out is the problem. Wires are not popular for taxation purposes. Are there restrictions on mobile? There are restrictions with Russian carriers, such as no auto downloads, etc but generally regulations are much softer than in the West. How is the Russian dating market growing? It’s booming, both with websites and dating apps. The market leader is Wamba.com with its 40,000 white label sites and 25 million registered users. Other big players are Loveplanet.ru, Dating.ru, My.mail.ru, Rudate.ru and Teamo.ru. What is the male/female split of dating members in Russia? When people meet for a serious relationship in the hope of marriage it’s generally 70% female to 30% male. Sites focused on casual dating tend to be 95% male, 5% female. Tell us about your presentation at iDate… We had a great opportunity to present ExoClick to all attendees at both exhibitions right in the heat of the show. We spoke about ExoClick and out technology platform that has made us the 5th largest ad network in the world and how we generate new monitisation opportunities for our existing and future clients. Russian industry specialists knew about us and we were able to close many deals as we visited various exhibitors and attendees. The shows also displayed our corporate video on the show screens and this helped us attract advertisers and webmasters who could then ask us questions and we singed up many clients on the spot. 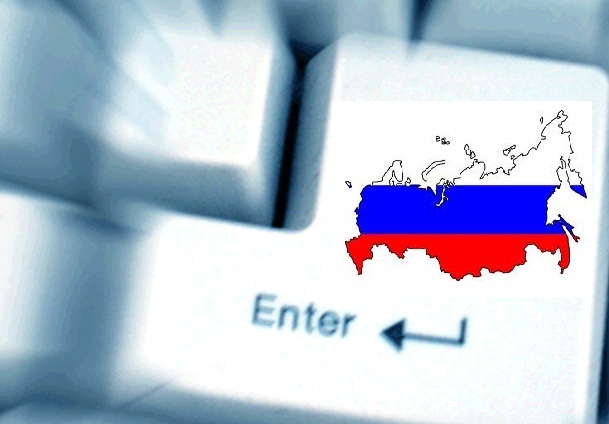 To find out how you can get into the Russian market email advertising@exoclick.com. Click here to download ExoClick’s Russian language Media Kit.